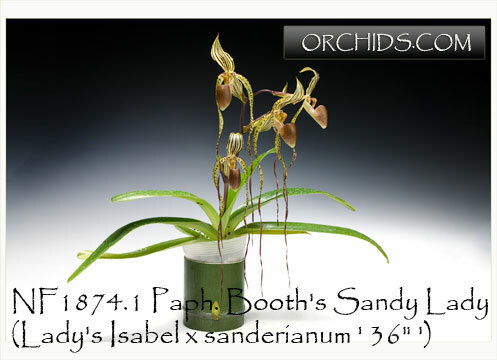 A very select plant from a remake population of Paph. Booth’s Sand Lady ! 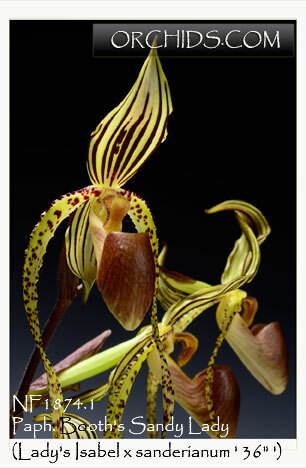 Outstanding for its bold crisp striping, gracefully twisting long petals and dark pouch, it is definitely one of the best we’ve seen. Highly Recommended !